The only one that I can't see an obvious exploit for is Terminal Ocean. But even then, it might be possible with some luck and teamwork. I haven't tested all the maps but I can't seem to be able to complete even one lap on Terror Mansion. Lol, looks like I made them impossible to cheat alright, by making them unbeatable. It seems the setBrickZone events for the win brick in some maps were saved with the first value (the check) being disabled, which removes the zone. I've fixed this on all affected superkart maps. Should be good now. this is a client-sided problem, i believe it has traces to mouse steering which prevents players from aiming anywhere in a vehicle... well, unless you use free look? That's why the SuperKart tracks have checkpoints, to avoid exploits like this which are easy to do on normal speedkart gameplay, it's a bad idea that you ported those over honestly. I was strafe steering and in first person. This is only an issue with the Hyperion. I still seem to be having issues with Terror Mansion. I can only trigger the lap if I go directly over the small brick, which only covers a small part of the end of the ramp. I still seem to be having issues with Terror Mansion. I can only trigger the lap if I go directly over the small brick, which is only covers a small part of the end of the ramp. Just tested terror mansion, the zones seem to be working fine for me. Maybe something screwed up with your downloads, I recommend redownloading the gamemode and the maps. Do you happen to have a console log? Maybe that will help. - Changed "completed lap X/X" to "completed lap X of X" to fall in line with the beginning round message. - Tip tick is called when tip time is changed with the command. This should bring back tips after they've been disabled. - Tips now only show up if there are people in the minigame. This should spam dedicated server consoles less during times where there are no players in the server. - Added colorset from DeathMatch gamemode. 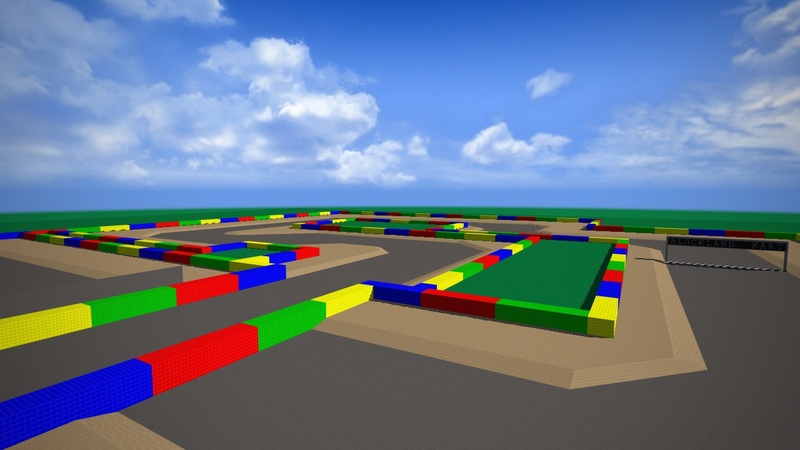 Has more colors to pick from when making maps or for players to color their kart, and it's compatable with maps made using the default colorset. - Trying to load the gamemode in the custom gamemode or elsewhere should execute the karts but nothing else, enabling use of the edited karts outside the gamemode. Prefs are loaded but changes are not saved. This hasn't been tested much, use with caution. - Pref $FK::Pref::KartsAllowed has been changed to $FK::Pref::Karts::Allowed, conversion is automatic, no prefs.cs edit needed. - Added more engine sounds for most karts. Sounds taken from most recent Vehicle_SpeedKart, but made as quiet as the superkart sounds that were already in this gamemode. The superkart engine sounds are used as the "default," being given to the standard speedkart. The "default" speedkart sound is still given to SpeedKart Blocko, SpeedKart ATV (as it is in superkart), and SpeedKart Original. The Hover II (superhover) is given the hover's engine sounds. - Engine sounds can now be disabled. - Horns can now be disabled. - Horn delay can now be changed. - Reorganised the admin command lists. - You can now enable players to lean backward/forward in karts. This is disabled by default, and requires you to restart the server if you enable/disable it. - Links to Speedkart and Superkart are now given in /fkcredits. - Fixed empty nuke image. - Minigame color is now white. No /karts command yet, simply haven't got to it yet. Also a small update is in the works for deathmatch. Here's a new (old?) 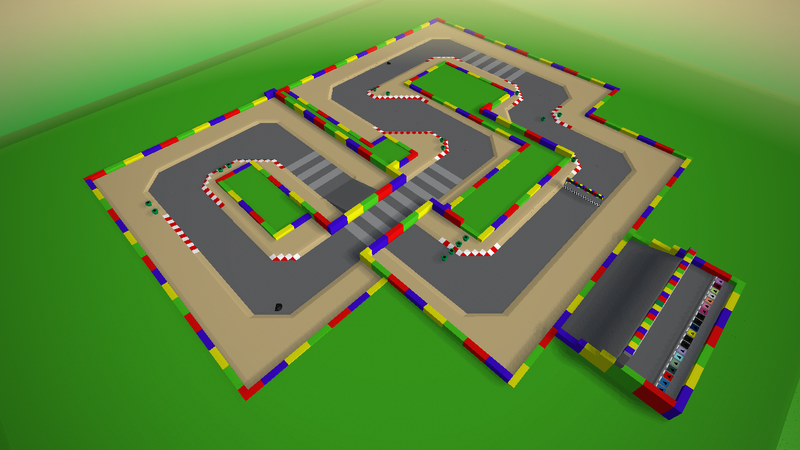 track for FASTkarts. (Boosters not visible in image; they're right before the ramp). For the sake of experimenting, I took Filipe's old SNES Circuit and fitted it for FASTkarts, while also making it resemble the original track a bit more, still retaining the same layout. A 3 lap-long track which should also be fun to drive on. Also takes advantage of the expanded colorset. Welp it seems I don't have to make the attempt, lol. Looks great. Is there a way this can be put on Blockland Glass without having to check this topic all the time? I can't really do announcements or change logs well because their systems simply make it hard or impossible. Uploading every single map is also difficult, as they don't allow you to upload packs like I've done in the OP here. Some support for packs of addons that they just unzip to your add-ons folder would go a long way. That on top of refusing to support music restricts me to only uploading the musicless version of deathmatch. Doesn't make me feel good at all. - Nuke should be less spammable now. - Blank descriptions and credits are now detected, this allows descriptionless tracks to be put onto Blockland Glass. - Banana should be less spammable now.